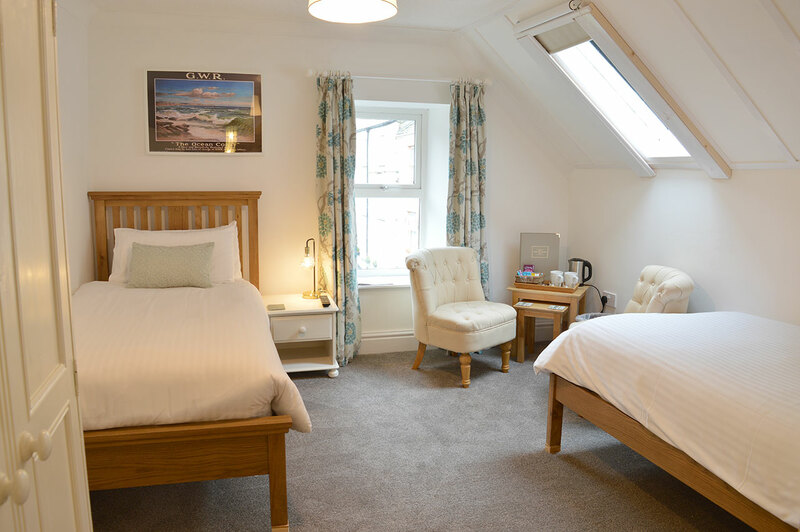 Bedroom Eight is situated on the second floor and is our twin bedroom with a view up the East Lyn river valley. It has two twin solid oak bedsteads with soft linen, pillows and cushions, wardrobe and luxurious blackout curtains. Seated in the window are two relaxing slipper chairs, allowing you to enjoy a restorative cup of tea whilst watching the river run past. 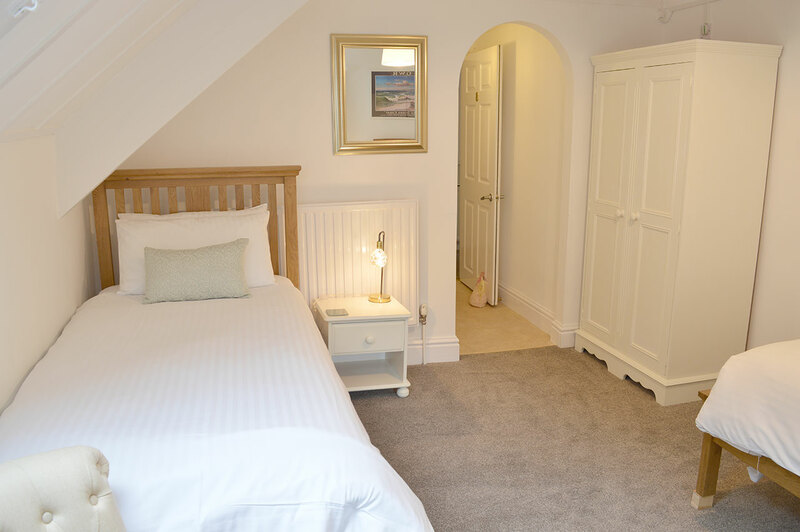 Bedroom Eight has been newly decorated in neutral, soft colours and offers a place to relax after a day’s adventure. 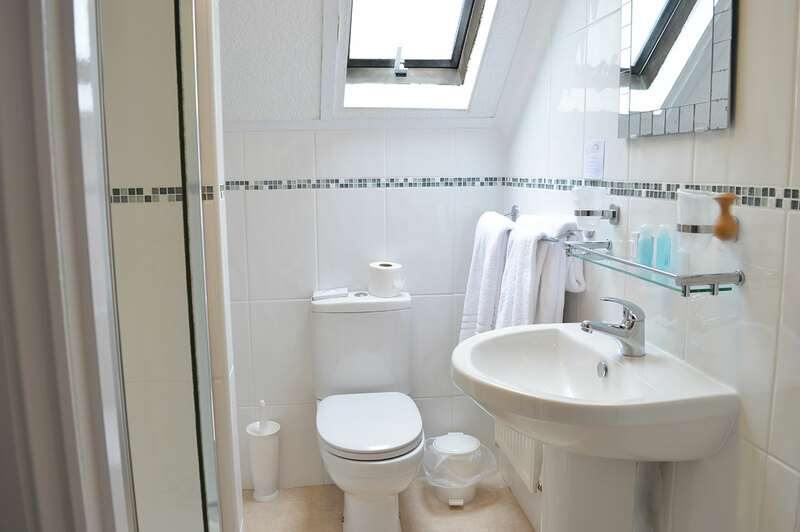 The en-suite comprises of a shower room, with wash hand basin, toilet, mirror and large fluffy bath towels. Revitalise and restore yourself each morning with our Crabtree and Evelyn ‘La Source’ hand soap, shampoo, conditioner and body wash.